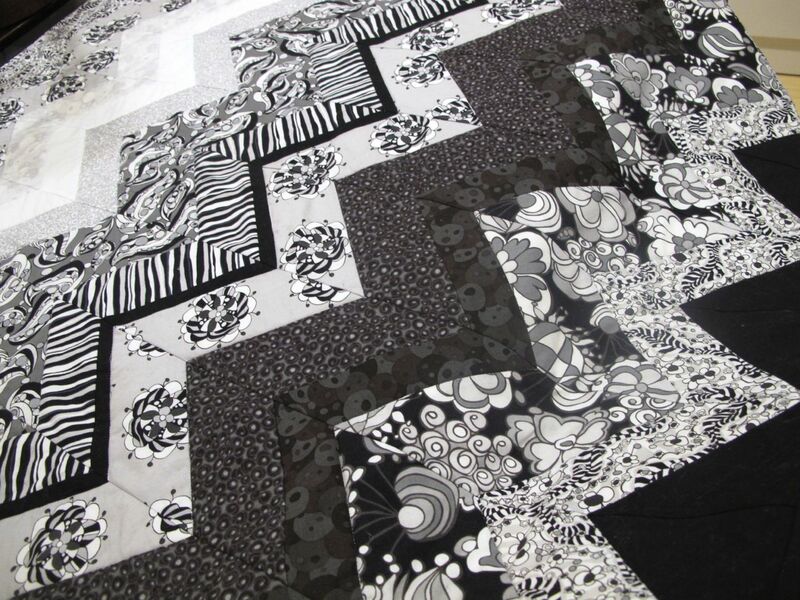 Stef from Blackberry Quilts has been working on a couple projects using Licorice Fizz. The first one, which I am in love with (like most everything else she does) is this chevron quilt, which I got to hold in my hot little hands this weekend. 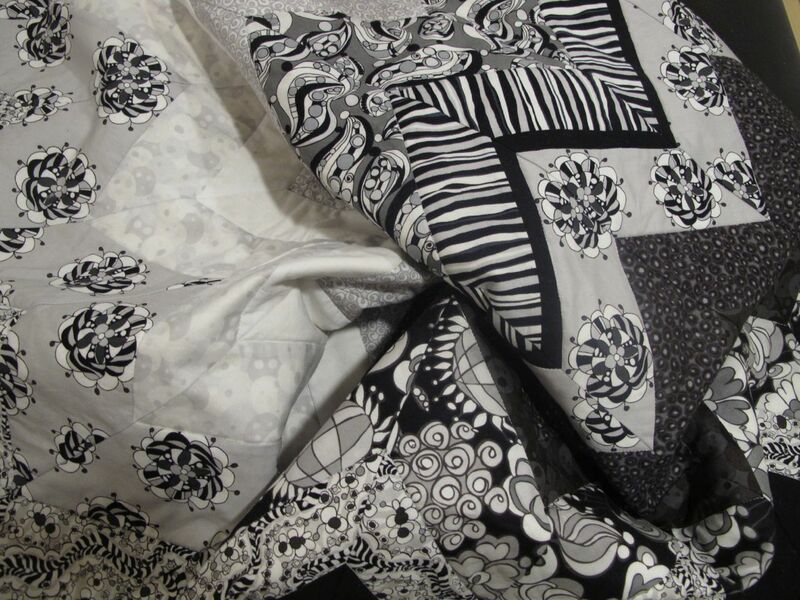 And check out her other patterns too–tons of baby quilts and simple patterns for beginners. And we are selling a kit for it on Etsy here. 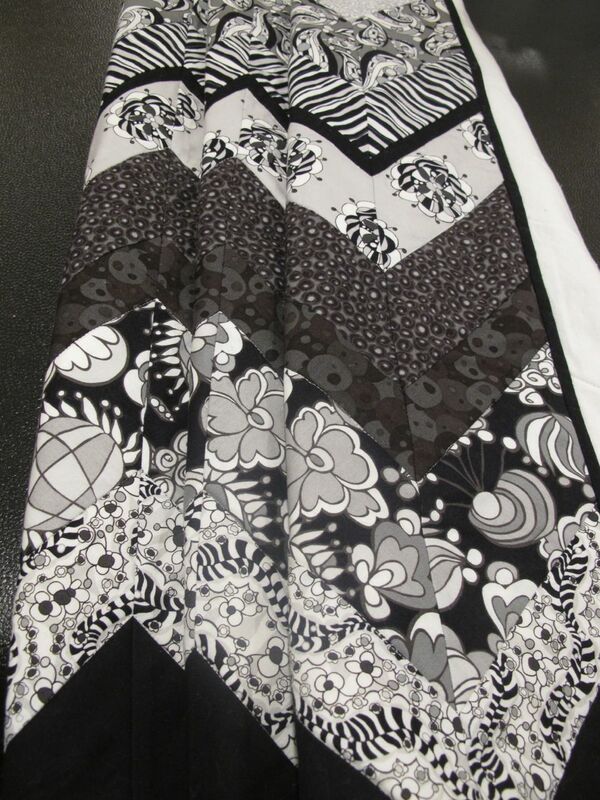 This entry was posted in fabrics, Quilt Patterns, Quilting, sewing, sewing patterns and tagged Baby quilt patterns, Blackberry Quilts, chevron, chevron quilts, Licorice Fizz by Plaid Portico. Bookmark the permalink. I love this pattern, but I would like to make it in a king size for my granddaughter’s wedding in April…can I buy just the pattern???? This would make for one cosmopolitan Baby! SOOoooo cool.